For the past few days my life has been consumed with the Spring Fair – a fundraising event I co-organised for CATS Youth Theatre and the campaign to save the Theatre Church community venue. We planned all sorts of stalls (books, clothing, face painting and glitter tattoos, home-baked cakes, BBQ, car wash etc) and games (tombola and The Stocks both went down a treat! 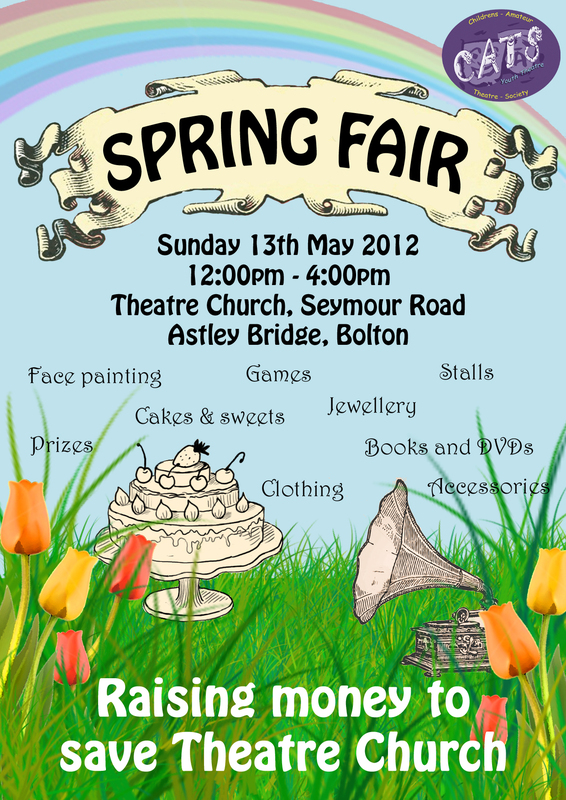 ), but obviously it’s quite nerve-wracking when you can’t be sure people are going to turn up on the day! Well, the Fair was yesterday, and thankfully it was a fantastic success, raising £1570! Not only do I now feel a lot more relaxed, I also managed to pick up a few “finds” at the Fair…. 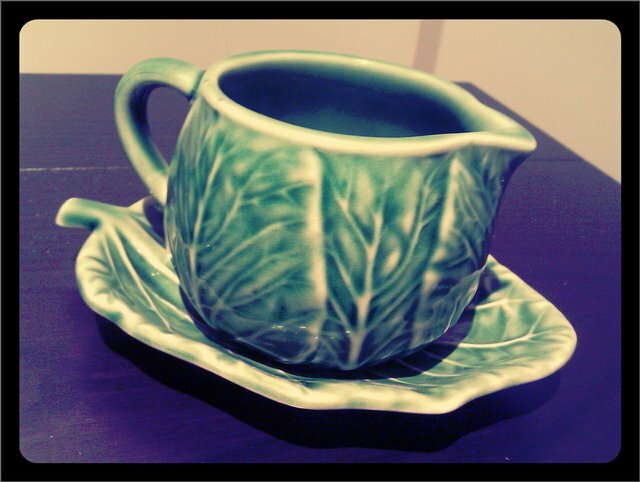 I’m planning a few crafty projects, one of which will be teacup candles. 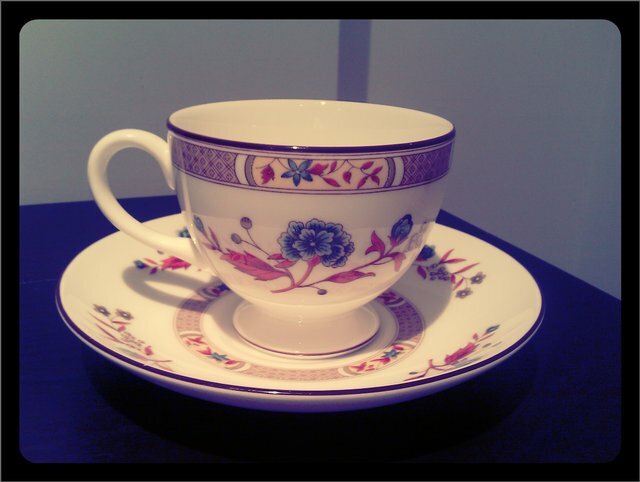 I’m keeping my eye open for cute teacups, and scored this one! 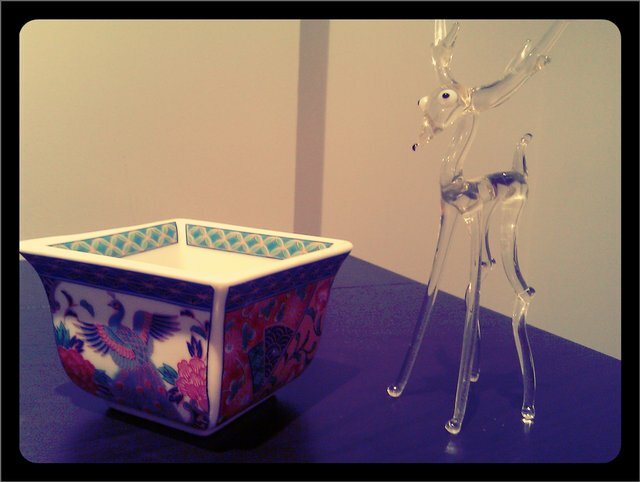 Cute random items – a mini Japanese dish, which I’m sure I’ll use when entertaining guests for dip or something, and this glass deer. I thought, if nothing else, this would make a cute Christmas tree ornament. I’m no expert on collector’s items, but I did recognise these Bordallo Pinheiro cabbage leaf pieces! 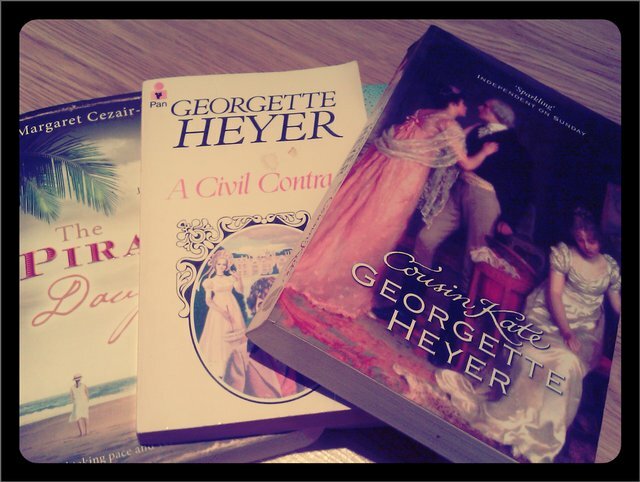 I love it when you find books you’ve been wanting to read on a second-hand book stall! Bargains galore! 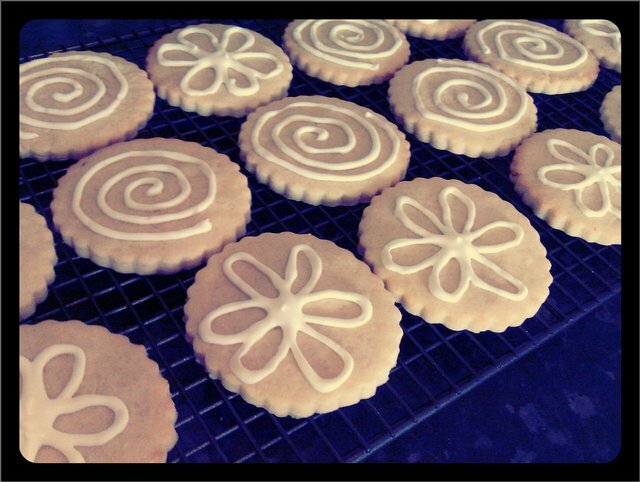 I baked these cute iced lemon biscuits for the cake stall. Went down a treat!